“The sector’s confidence in emerging market demand for coal, especially the sort used in steel making, is keeping deal activity brisk. Four of the 10 largest mining-sector mergers and acquisitions in the first half of this year were for metallurgical coal assets, according to PwC. Total deal value so far this year, at nearly $19 billion, is already close to last year’s $22 billion total. Peabody Energy and ArcelorMittal’s $5 billion agreed bid for Macarthur Coal late last month is unlikely to be the last transaction. Anglo American, which was in the running for Macarthur, remains on the prowl for acquisitions, as do other mining majors. Top coal mining deals of the last year include Peabody-Arcelor’s (PEAMcoal) $5.2bln bid for Macarthur, Itochu’s $1.5bln Drummond deal, Alpha Natural Resources $8.5bln acquisition of Massey, and Arch Coal’s $3.4bln acquisition of International Coal. In a poll on this site in January 38% of respondents indicated coal would be the commodity triggering most M&A in 2011. The key drivers for high valuations of coal producers in the last year are consolidation of the North American industry and the ‘need’ for steelmakers to integrate vertically and secure the access to a stable supply. A similar trend could drive up valuations of iron ore mines if growth of demand keeps up and ramp up of capacity of the major miners goes as slow as expected. Most of the recent acquisitions in the coal sector have been done by Indian steelmakers or US coal miners, with targets often in Indonesia, Australia and Southern Africa (all relatively close to Asian consumers). Surprisingly Chinese companies are not yet playing an important role. Strategic acquisitions by Chinese steelmakers and/or coal mining giants, supported by government institutions, could further drive up valuation ratios of metallurgical coal assets in the area. “Macarthur Coal has backed a sweetened takeover bid from Peabody Energy of the US and European steelmaker ArcelorMittal that values one of Australia’s last remaining big independent coal miners at A$4.9bn (US$5.2bn). The recommendation by the Macarthur board came after PEAMCoal, a new entity owned by the bidders, lifted its offer price to A$16 a share from A$15.50. Macarthur shareholders are also entitled to a recently declared dividend, taking the total price to A$16.16 a share. PEAMcoal’s new bid is $0.50/share higher than the initial offer, adding some $0.2bln to the transaction value. The current bid is almost $2.0bln higher than Peabody’s offer in May 2010. Macarthur agreed to a $51.4mln break-up penalty (1% of takeover price) and no shop/no talk clauses, making it hard for other parties to obtain detailed company information. However, various other potential bidders have already studied Macarthur’s books. By agreeing to PEAMcoal’s bid Macarthur’s board pressures potential other parties to hurry up. 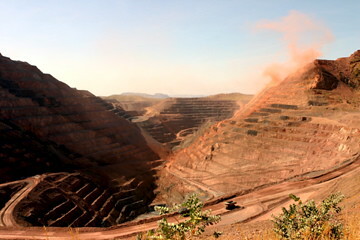 Anglo American is rumoured to be interested in bidding for the company, but no official rival bids have been made yet. As most interested parties have been in contact with Macarthur and studied the books already, the no talk clause is not very important, but Macarthur signals a decision has to be made quickly. Key assumption in the valuation of Macarthur clearly is the coal price going forward. Synergies vary among potential bidders, but synergy value will be much lower than the value of the stand-alone cash flows of the company. As a result the company with the most optimistic forecast of the coal prices will be willing to pay most for Macarthur. This concept, in which the winner of an auction (or takeover process) runs a high risk of being too optimistic, is known as ‘the winner’s curse’. “The world’s largest private-sector coal miner and the largest steelmaker by output on Thursday sweetened their offer for Australian pulverized coal miner Macarthur Coal Ltd. to around A$4.73 billion (US$5.05 billion), while moving a step closer to success by agreeing to start due diligence on the deal. Peabody Energy Corp. and ArcelorMittal said Monday they would start receiving data and site access from Macarthur from the coming Monday. Peabody tried to buy Macarthur early 2010, but this offer did not convince the 3 major shareholders (ArcelorMittal, Posco and Citic). In the new offer, announced last week, Peabody teams up with ArcelorMittal in a 60%/40% ownership structure. The sweetening of the offer consists of the withdrawal of the demand that a $0.16/share dividend not be paid out by Macarthur. In turn the buyers get access to the due diligence information required to test the offer assumptions and to prepare integration. It appears Macarthur’s board is cooperative in the deal, opening books and mines for inspection in exchange for a small increase in value for current shareholders (approx. 1% of market value). If the deal goes ahead the major shareholders that don’t participate in the takeover will need to decide whether or not to sell their shares. Posco and Citic both are strategic shareholders, but only Posco has interest in retaining access to Macarthur’s products, which will potentially become much more difficult if competing ArcelorMittal increases its ownership stake. “Peabody Energy of the US has joined forces with steelmaker ArcelorMittal to make a A$4.7bn (US$5bn) bid for Macarthur Coal, the Australian coal miner that was at the centre of a failed three-way bid battle last year. With Chinese-driven demand for coal pushing up prices, Peabody is attempting to expand overseas. ArcelorMittal is seeking to buy mines to secure its steelmaking ingredients at reasonable prices. Macarthur is the world’s top exporter of a coal variety that is one of the hottest commodities in metals and mining. Macarthur received the indicative cash offer of A$15.50 a share on Sunday. It is conditional on the bidding consortium securing at least 50.01 per cent of the target’s shares. Peabody’s previous bid, which collapsed in May 2010, was made conditional on Macarthur’s board approval, which in turn was made conditional on 75% of the shareholder votes supporting the deal. ArcelorMittal, Posco, and Citic, controlling almost 50% of the shares, were afraid to lose contract rights and therefore did not support the deal at the time. The $15.5/share bid holds a 40% premium over the share price prior to the announcement. The share price dipped in June to the lowest point in more than a year driven by low Japanese demand. ArcelorMittal ensures long term access to the coal from Macarthur and probably also other Peabody operations by taking a 40% stake in the deal. If the acquisition is successful the company makes an important step in becoming more self-sufficient in its raw material needs by integrating vertically. Peabody would add approximately 25% of its size with the acquisition, and would make a big step to expand operations internationally. As Macarthur is one of the key suppliers of China’s coal demand it might happen that China’s steel industry, led by Citic, will try to outmanoeuvre ArcelorMittal by making a competing bid. “After providing a flood of capital when the rest of the world was closing its checkbooks during the financial crisis, China’s mostly state-controlled mining sector is likely to find itself increasingly outgunned in the race for Australian resources, according to bankers to the industry. Various Australian mining firms have raised money on stock markets (Fortescue, MacArthur) now that investors turn back to markets and interest in mining stocks is increasing. This reduces the need for the mining companies to raise cash by partnering with cash-rich Chinese firms. The increase of the exchange rate of the Australian dollar versus the American dollar and the Chinese Renmimbi further decreases the attractiveness for Chinese firms to invest in Australian mining property. Chinese companies have ongoing interest in expansion abroad. As they will have to compete with other sources of money for western companies they will resort to offering more favorable conditions or to acquiring foreign assets. The increasing competitiveness to act as financer of mining projects strengthens the need for the Chinese mining and metals industry to consolidate; creating less but stronger companies that have the power to make international deals.